unique history. That’s a combination of literature, music and dance art. 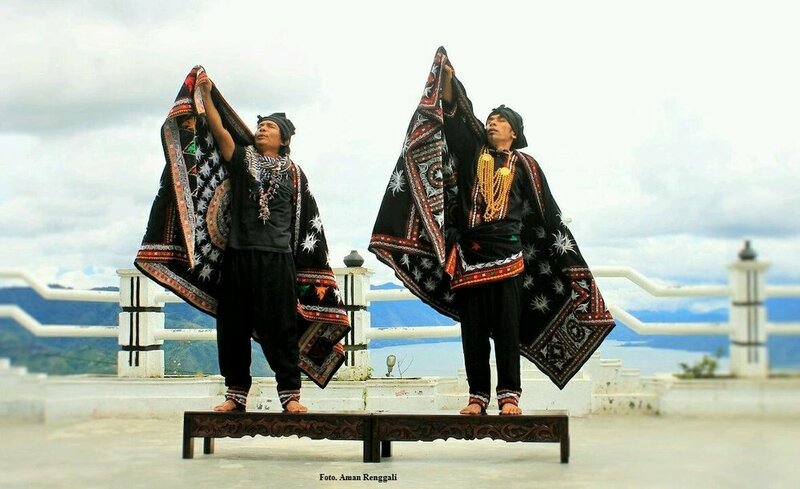 The Dance is also a sacred dance because it has strong connection to the history of Aceh Kingdom. The second is Sining Dance, which is a sacred dance performed by adult men on the plank as a ritual before building traditional house. Sining means doing spinning movement beautifully, copying the moves of Wo bird and Unguk bird during the full moon. The spinning moves are against the rotation of the earth. It symbolizes the strength of a building. It is said in Gayo society that Sining dance has disappeared and never been performed anymore since 1942. However, Gayo group that is coming to Bali this May will bring this powerful dance on the stage of Indigenous Celebration.